Five potential FCS over FBS upsets to watch in 2018. Kennesaw State coming off a surprising and impressive NCAA FCS Quarterfinal appearance in 2017 is a preseason top 10 pick in 2018. Georgia State lost to FCS Tennessee State in the 2017 season opener and lost to FCS Liberty in 2015. James Madison is the reigning NCAA FCS National Runner-Up and 2016 National Champion. The Dukes beat FBS East Carolina last season, SMU in 2015 and Virginia Tech in 2010. NC State struggled with FCS Furman last season before pulling away in the second half. Tennessee State opened the 2017 season with a win over Georgia State to open the Panthers new stadium. Vanderbilt lost to FCS Charleston Southern in 2014 and has Tennessee State sandwiched between SEC East favorites Georgia and South Carolina. 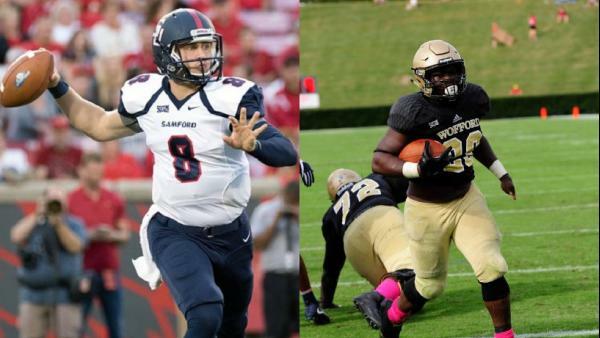 Wofford’s triple option offense has given FBS teams a scare in years past (Clemson 2011, South Carolina 2008 and South Carolina 2006) but has only notched one win over an FBS squad beating Louisiana-Monroe in 2000. Wyoming lost to FCS North Dakota to open the 2015 season and struggled with FCS Montana before narrowly winning the 2014 season opener 17-12. Samford has played well against FBS power 5 schools losing by two scores or less to SEC foes Mississippi State in 2016 and Arkansas in 2013. The Bulldogs catch the Seminoles at a good time with Florida State coming off a short after an ACC Showdown with Virginia Tech on Labor Day to open the season.